You should know how to choose car subwoofers for your car stereo. Subwoofers are speakers designed solely to reproducing low frequencies. It doesn’t matter what kind of music you like such as softly or loudly to listen. Actually, a quality sub can improve bass and overall listening. 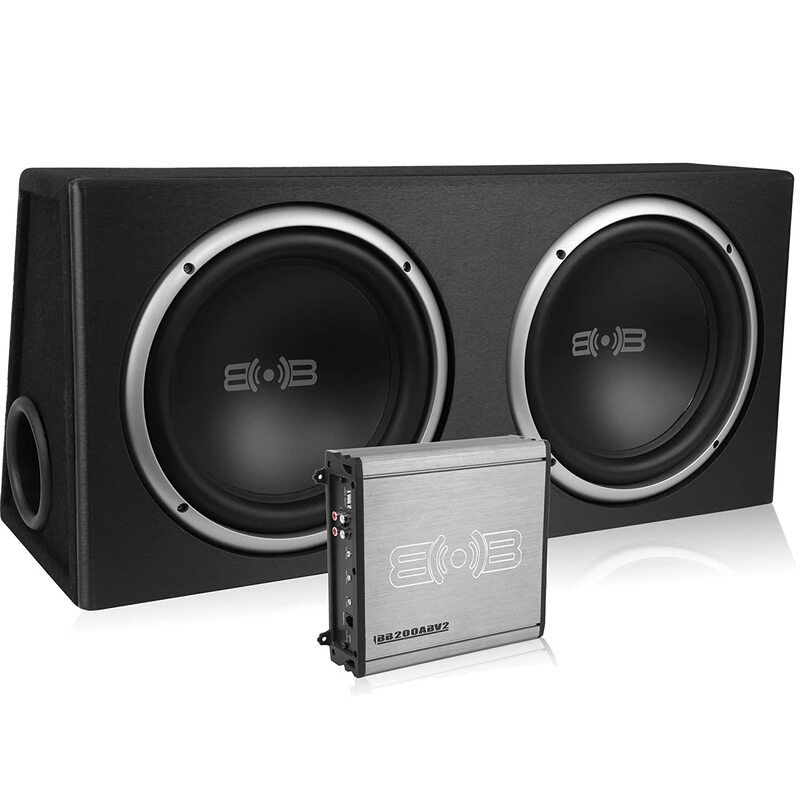 We all know that bass is an integral part of our car audio system and giving your audio depth and realism. When Manufacture Company makes a car then they include factory-installed subwoofers, but it too small that’s why can’t able to optimally handle low-frequency sounds. A good quality sub can make the difference between great sounding and good sounding system. Now it’s easy to upgrade your car stereo with subwoofers but you haven’t to be an electronics experts just follow below and also you should need good car speakers. What Kind of car subwoofers do you want? Component Car Subwoofers: it comes speaker only that means you have to choose the enclosure and amplifier separately and needs to power the sub with an external amplifier. You should look at component subs first because it’s an Ideal for highly customized car stereo system. Usually, Component sub-range sizes are 8 Inch to 15 Inch. It will need to be mounted in sub box for operating properly and you can also operate low or high power. 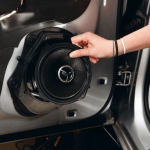 There are much different voice coil and impedance setup options, so you can pick which is right for your car stereo system. Enclosed Car Subwoofers: It’s a pre-mounted in a box and you should choose an external amplifier. So you have won’t do much work to design your system and you can save some time. But it has a downside too, that is limited to the number of speaker and box types. Powered Subwoofers: Powered subwoofers include the speaker and it ideal for installing in a small place. It has an amp in 1 compact enclosure but not produce big bass. Vehicle Specific Subwoofers: This kind of Sub are designed to fit in the out of the way location in your cars such as door or others. It’s can’t give you big bass sound but it’s perfect if you desire a discreet install for your car subwoofers. There are some specs (comparing specs) you should know when you like to buy any subwoofer. It can be helpful for making a decision which one you should buy. Power: Before buys a subwoofer you need to look at the sub power handling capacity. Because if you want to deep bass, big and natural sound you should buy a high powered sub. Of course pay attention to RMS power, not peak powers. RMS power rating measures continuous power handling and outputs better than peak power. And make sure about match the subwoofers power to your amplifier power output. Frequency Range: Frequency range gives you an idea of how low a sub can play and your sub to be able to handle low-frequency sound. If you want your sub to be able to handle extremely low sound, so you should buy high-frequency range speaker. Sensitivity: Sensitivity help to extract maximum output to low power. If your sub has a high sensitivity that means you will get big sound in less power. Impedance: The impedance current flow ranges from 2 to 8 ohms but most of the subs are rated at 4ohm. Actually, amplifier and your subwoofer’s impedance matching are very important for high-quality sound. Otherwise, you find some trouble in your new subwoofers. A number of voice coils: There are two options for you to choose one single voice coil and another double voice coil. Most of the audio enthusiasts prefer a double voice coil because it offers more flexibility with two separate coils. Each one has an own connection, connected one common cone and mounted on one cylinder. The size of the woofer: Everyone ask and want to know what sizes sub play loudest and lowest sound, it’s a never-ending question. But the answer is not easy, you should consider sensitivity, power handling capacity, enclosed types for loudest or lowest sound. Sub size does not issue and if you have everything higher you can get plenty of sound from smaller subwoofers. Many people are confused how to and where to buy a subwoofer which they chose. There are two options for you, you can buy it for your nearest shop or you can buy it from an online marketplace like Amazon, BestBuy etc. If you like the nearest shop then you should go there and say about your chosen sub and own it. But if you have not timed or had any problem to go then you can select an online shop. You can search on the internet to write the best sub for a car or you can visit some online shop such as Amazon, eBay, BestBuy etc. There are many branded product available and also have customers reviews who used it. These reviews will helpful for you because you get an idea and all pro, cons, and specification before buy. If everything is alright then leave the order and get your subwoofer in the home because they provide home delivery. After owned if you fell any technical problem please inform their customer support center and solve your problem. These is very helpful post. But if you give more details about car subwoofers it will be more helpful for us. Would you think Subwoofers is important for car audio?? Adding bass to your car audio system can be challenge for a new beginner. Choosing the right subwoofer helps you get the ultimate sound quality. Thanks for sharing great post! Great! The sound system in the car is the very joyful feeling while driving with besties. The base creates by powerful speakers can feel you more comfortable even when you are in traffic. Thanks for sharing your article over here. Please keep up the great work ahead. Thanks! I discovered your How to Choose Best Car Subwoofers- Guide update 2017 page and noticed you could have a lot more traffic.